Most of us don't fully understand the environmental impact of clothes production. From their fabrication, transportation to market, washing, and disposal; clothes can make quite an impact on our global environment. 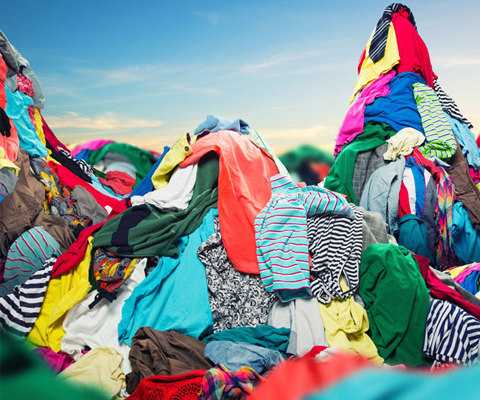 While more and more people seem to be recycling their old attire, according to the U.S. EPA Office of Solid Waste, Americans still throw away more than 68 pounds of clothing and textiles per person per year. Clothing and other textiles represent about four percent of the municipal solid waste stream. The most commonly used manufactured fiber, is made from petroleum in an energy-intensive process that emits volatile organic compounds (VOCs) and acid gases into the air. The process also uses a large amount of water for cooling. When manufacturing clothes, dyeing requires a hefty amount of water, and its fixatives often flow into rivers and sewers. Also, all “easy care” and “permanent press” cottons are treated with formaldehyde. Why Recycle Clothes and Shoes? 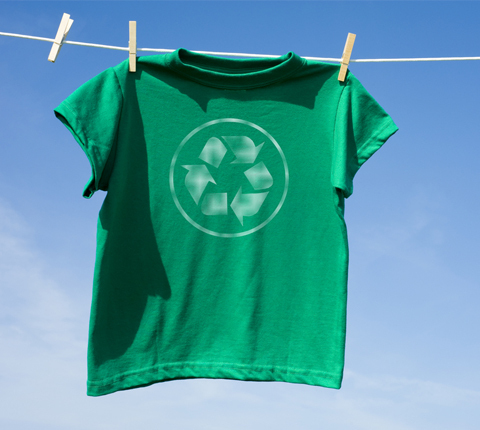 As clothes recycling becomes ever popular it’s estimated that each person donates 68 pounds of textiles annually. While many communities have can and glass recycling programs, few communities have textile recycling programs. About 85% of textiles goes to landfills where it occupies about 4% of landfill space and the amount is growing. Almost all clothing can be used again in one form or another. Discarding these clothes would be a waste, not just of the material itself, but of the water and energy that went into the manufacturing. The water, pesticides energy and labor required to produce cotton clothes is staggering. Most textiles can be repurposed and the benefit of taking the time to recycle those items far outweighs the inconvenience of setting such items aside for recycling. Instead let's get the full benefit of these resources by simply recycling. Pink Bin Recycles more than just clothes. Items besides clothes can be recycled. For instance, shoes, small toys, belts, stuffed animals, and hats can be recycled as well. Almost 100% of household textiles and clothing can be recycled, regardless of quality and condition. Recycled clothing and textiles reduces solid waste, and provides employment in the many states the national organization operates. As a textile recycler, Pink Bin understands the recycling, recyclability, re-purposing, and source reduction issues have relevance to our industry. We hope through education and the cooperation of government agencies that the general public will recognize the need and importance of recycling secondhand clothing. Through our program, we hope to maximize the recycling of textile wastes and thus minimize the amount of material that goes into the waste stream. So is there a silver lining in all these numbers? You can be assured that 48% of the post-consumer textile waste is being sold to developing countries. It is through our industry's efforts that the worlds’ underprivileged are clothed. Industry members are capable of delivering a pair pants in clean, damage-free condition to the east coast of Africa for a $ .34 a pair and sweaters to Pakistan for $ .12 each. These prices not only include the garment, but the cost of transportation as well.